After breakfast depart from Quito through the Pan-American North Highway until arriving to Cayambe, where the passengers will have the opportunity to taste the delicious “Bizcochos de Cayambe”, a type of cracker or bread baked in a clay oven (greatly paired with local cheese or caramel sauce). Afterwards, we will make a brief stop at “Miralago”, to admire a wonderful view of Lago San Pablo, amazing views. 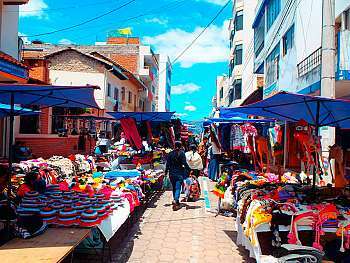 The tour then continues to Otavalo where Otavaleños (natives) set up a market in which a bartering manner of shopping is taken place. The market hosts a variety of different handcrafted items. Passengers may choose between staying longer in Otavalo or go to visit to the leather shops at Cotacachi. On the way to Cotacachi, we will visit a traditional workshop of Andean instruments “Ñanda Mañachi” located in Peguche. In Cotacachi you have enough time to visit the village, the shops of leather goods and free time for lunch (not included). Return to Quito picking up passengers in Otavalo (spot determined by Gray Line Guide). ** Bus will wait for 10 minutes in Otavalo to pick up passangers that stayed there, after that will return to Quito with passengers that are on board. Breakfast at hotel. In the morning excursion to Tortuga Bay Beach, after 40minute walk (approx.) we will arrive to this magic place, one of the most beautiful beaches in the Galapagos, with white sand and green mangroves. 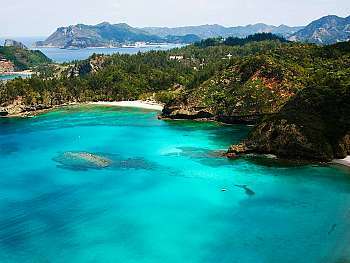 “Playa mansa” is where we can swim and enjoy of the beach. Free time for lunch (not included). 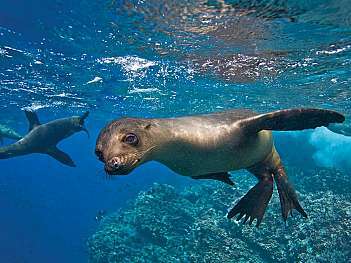 In the afternoon, tour around the bay on board a yacht, starting with a visit to “La Lobería”, named because of the presence of sea lions. Here you will be able to swim or snorkel. Then we proceed with our tour to the “Canal del Amor”, a marvelous site where nature gives us an unforgettable view; at the end of this channel, just a few meters forward, a viewpoint where we can observe reef sharks; from here we continue with a short walk to see the marine iguanas that inhabit in “Playa de los Perros”. Punta Estrada will also be visited. Return to Puerto Ayora. *Note: shipping used in this excursion is a boat engine with capacity for 16 people. After Breakfast our tour guide will pick you up at your hotel to go to the canal of Itabaca, where a ferry will take you to Baltra Island. At the port you will board a bus of your airline that takes you to the airport. En route you are going to visit a coffee plantation which is part of a social responsibility program. The encouragement for the organic coffee cultivation contributes to the conservation of plants and soil and therefore is deemed to be a perfect model of sustainable tourism. 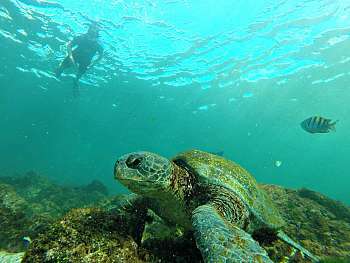 ** Tour Operations in Galápagos, may change due to climate conditions, operations, and logistics and are also subject to availability and itinerary changes, days of excursions, etc. However, GRAY LINE Guarantees the number of excursions and visits to be met, but does not guarantee the itinerary or specific place to visit. 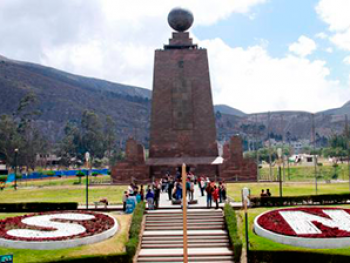 In Quito and Guayaquil, Municipal tax of US$ 2,00 per room per night is not included. 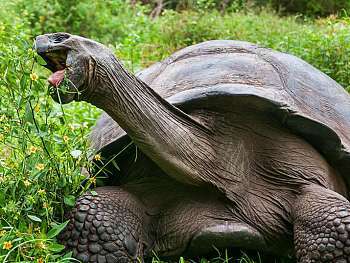 Passengers flying to Galapagos in Tame airlines, must pay US $. 5.00 per way, in cash, for the public bus service from the airport to the Itabaca Canal, prior to boarding the ferry that transports them to Santa Cruz Island where they will board our private transportation.